You must be a member of the Panama City Latin Dancers Group to attend this activity. Would you like to join this group? Come enjoy a night full of dancing! 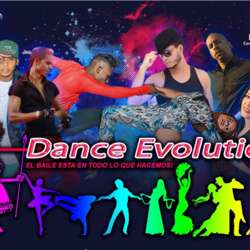 You will be delighted with the professional presentation of several different styles such as Salsa, Bachata, Samba, Flamenco, Belly Dancing, Kizomba, Hip Hop and much more! Afterwards, we will open the dance floor where you will be able to move to a variety of rhythms played by DJ Panda. This will be an ode to dancing in all its forms! Please send a Copy of the transfer to Jorge Rivas, mentioning you are from Internations group. Also send a copy to me so I can keep tracking and reserve a table that fits us all.